This eye serum contains over 65% active ingredients to reduces signs of tiredness, puffiness, bags and dark circles. It’s innovative ingredients protect the skin from environmental stress, eliminate toxins and regenerate the cells. The results are a more youthful eye contour with skin looking more radiant, firm, reduced wrinkles and illuminated. Zinc Glycine Complex: An award-winning ingredient that neutralises cell damage. Hyaluronic Acid: Intensely hydrates the skin. RC Advanced: Accelerates the regenerating and repairing process. 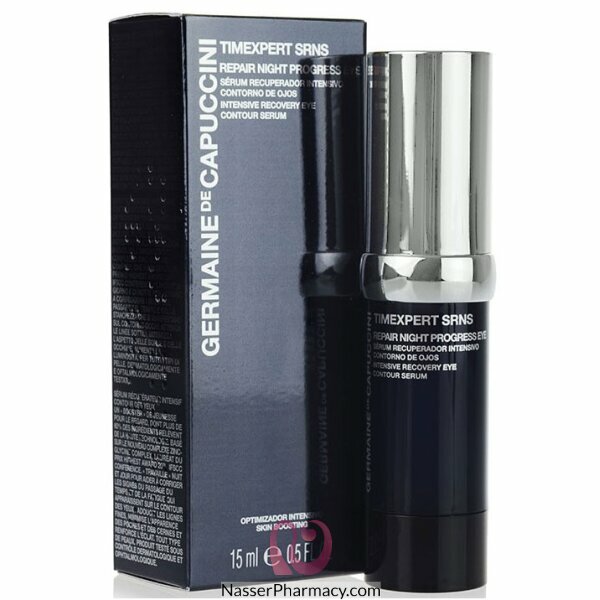 Tetrapeptide: Protects collagen fibres, reduces puffiness and eliminates waste. You can use this product on its own - or you can use as a serum and apply this first - a tiny amount, about the size of a grain of rice per eye - tap into the eye socket area only (where you can feel the bone) and then apply the smallest amount of your usual eye cream over in the same way. Description:Dehydrated fine lines, puffiness, dark circles.High Rehydration efficacy thanks to Hyalu..